Foundations of The 7 Steps to Emotion Mastery: Crunch Time! Over the past few weeks, we have begun laying our foundation for understanding the key components of The 7 Steps to Emotion Mastery. We’ve covered Energy Charges, Your Gold and Your Truth, and PETS. In this final installment of our foundations series, we will discuss the point at which all of your work will culminate and you will be put to the ultimate test: Crunch Time! Put simply, Crunch Time is the point of time at which you will be faced with a life choice. You will either make a decision that is in line with Your Gold and Your Truth or you will make a self-sabotaging choice. If your goal is to lose weight and make healthy meal choices, then you will be faced with Crunch Time at each meal and snack time throughout the day. If your goal is to never drive while under the influence of alcohol, which puts everyone around you at risk, you will be faced with Crunch Time anytime you are at a social function where alcohol is being served. If you are working toward a financial goal by saving as much of your income as you can, you will be faced with Crunch Time anytime you feel the desire to shop for things that you don’t absolutely need. If you learn, study, and implement The 7 Steps to Emotion Mastery presented in will confidently access Your Gold and Your Truth and make the best life choices for yourself at Crunch Time. But even the most seasoned emotion master must remember some guidelines in order to be in the best position to succeed. Below are some general pitfalls you should avoid when faced with a life choice. These pitfalls will make it more difficult for you to make your best decision at Crunch Time. DO NOT make life choices when you are enveloped by potentially toxic emotions and urges. Do not opt for a quick fix or fail to use appropriate discipline and delayed gratification when they are called for. Do not make important life choices when you are tired or under the influence of intellect-dulling influences such as alcohol, caffeine, or stress. Always be Consequences Cognizant, by considering your consequences of your acts BEFORE you act. Do not increase the risk of failing by being in a position that correspondingly increases the energy charges from sabotaging emotions that will potentially overpower your best judgment. You will be faced with Crunch Time over and over throughout the course of your life. Some decisions will be big and some will be small. 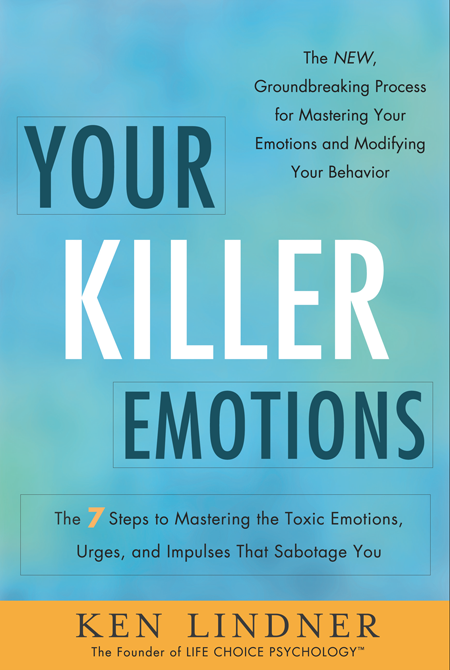 If you want to be sure you are ready to face those decisions and not sabotage yourself due to your emotions, pick up a copy of Your Killer Emotions and learn how to master your emotions beginning now. Today we continue to go through some of the foundational aspects of my 7 Steps system with a discussion of energy charges. When we talk about emotions, we generally discuss them from an intellectual standpoint. We rarely look at our emotions from a physiological standpoint. That is, looking at our emotions as a catalyzing physiological force that can be strategically used or channeled to our advantage. 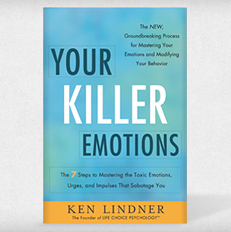 In my book, Your Killer Emotions, I focus on the physiological side of emotions. The focus is not on the emotion itself, but rather on the highly potent energy charges triggered by the emotion. In order to strategically use these energy charges to your advantage, you must first understand what they are. When you fall in love, you have a feeling of utter elation and motivation. When you experience anger or rage, you are filled with a huge rush of adrenaline. When you finally accomplish something you’ve been working hard and dreaming about achieving, you are bolstered by it and feel like you are on top of the world. You are charged up! What you are feeling in those instances are energy charges generated by your exceedingly strong emotions. Energy Charge: The energy that is generated by an emotion, impulse, urge, or compulsion that motivates and fuels you to make a certain life choice. What my book will help you learn is how to control those super-strong emotion-triggered energy charges to your tremendous benefit. You can achieve the goals you have set before yourself and live the life you have dreamed of. It’s all about harnessing the power of those energy charges and practicing skills that will empower you to think clearly and consistently when faced with a life choice, even when potentially toxic emotions and urges are competing for your attention. Mastering your potentially sabotaging emotions and their energy charges is what I call your Emotional Imperative.